So as you know, we’ve been running a damn effective campaign against VH1, and their new show, Sorority Sisters. Through our strategy of targeting the Sorority Sisters advertisers, we’ve been able to get 25 advertisers to pull out, including Honda, Macys, Kia, Visa, and Target, among others. But we’re not done. In fact, we’re only in the first quarter of a four quarter game. We need to do more. One of the key tenets of social action protest is that you continue to escalate the stakes as long as the entity you’re trying to change remains defiant. Despite the voice telling VH1 to pull the show, and the advertisers fleeing, VH1 points to its ratings numbers, and say that the ad rates they can charge with those numbers is much more important than the dignity of the African American community. And so we escalate our tactics. The goal is to make being an advertiser on Sorority Sisters as toxic as possible. We want to let brands know that if they pick this show that denigrates Black women over us, then we will pick their competitor’s products over theirs. We are African Americans. We deserve respect. And we deserve to be shown with dignity. So each week that Sorority Sisters is on the air, watch this space (WatchTheYard.com), and also follow @WatchTheYard as well as myself on Twitter(@alpha1906). We’re going to announce our plans of action. 1. Boycott VH1 entirely: In order to drive down their ratings, we’re going to block the channel on our own systems. By doing this, we’ll not only drive down the numbers for Sorority Sisters, but we’re asking you to not watch Love & Hip Hop too. We’ve heard the voices asking why we’re not attacking those shows, and we’re responding. Don’t worry about not being in a black fraternity or sorority, let everyone know that this campaign is about all of our dignity. BUT…as you DON’T watch, please make sure to TWEET advertisers during the hour that Sorority Sisters is on. Journalist Roland Martin (@rolandmartin) and I, Lawrence Ross (@alpha1906) are going to tweet out who is advertising during the show. We want you to hit them HARD! Let them know how you feel. A quick social media 101 note: There have been people who’ve spread the rumor that the VH1 #SororitySisters hashtag only helps VH1. That’s not true. By using the #SororitySisters hashtag, we’re like a busload of angry customers who take over a store, and demand that people hear us. And by having THOUSANDS overwhelm any other voices, we sabotage VH1’s plans. The bonus? Every time VH1 advertises Sorority Sisters, they include the hashtag, which sends MORE people to our protest. If we leave that hashtag to them, they can fill it with people who promote the show. 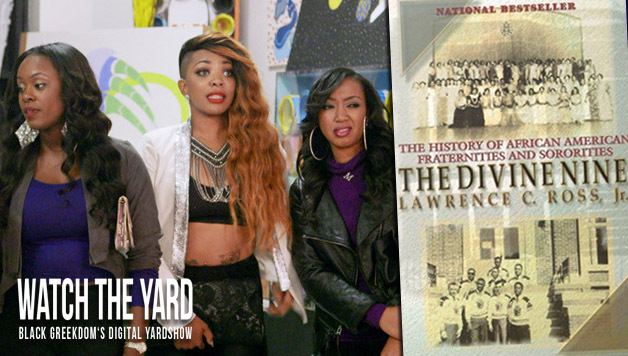 Right now, WE control the #SororitySisters message, not VH1. So send each tweet with TWO hashtags: #SororitySisters and #BoycottSororitySisters. Advertisers are watching both hashtags, and if the heat gets hot enough, they’ll bail. NO ONE wants their brand associated with an angry African American community, no matter how many numbers show up. Lastly, don’t get worried, discouraged, or fall for VH1’s statements. Every organization who didn’t want to change, always says that they’re not going to change…until they do. Keep focused on the goal, which is to get Sorority Sisters pulled from VH1…and then we’ll start tackling all of the VH1 programs we find objectionable to the African American community. VH1 underestimated us. VH1 thought you’d drop…after a few days…and then go quiet. VH1 thought they could make millions from your humiliation. VH1 was wrong. Keep fighting, and keep the pressure on.